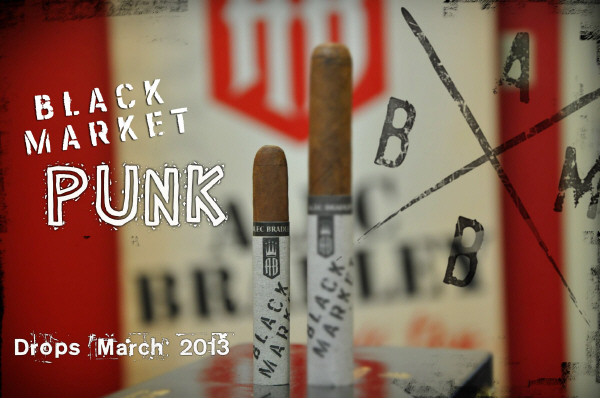 Cigar Affection has learned that Alec Bradley's Black Market line of cigars now includes a new size called "Punk". This cigar has a smaller gauge as well as being shorter in length. The new "Punk" variant is a 114mm (4.5") 42 ring gauge which puts it between a minuto and a petit corona vitola. This is by far the smallest cigar in the Black Market line of cigars from Alec Bradley. 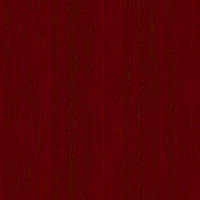 Sam Phillips, the Vice President of marketing was reported saying that they wanted to make a smaller size cigar that will be ideal for winter times when outdoor smoking is not as pleasant as during summer times. 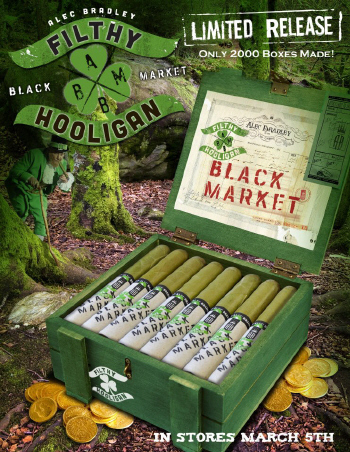 Alec Bradley is clearly creating a trend with the Black Market cigar names like the new limited edition line called "Filthy Hooligan". The Punk will be available in America during the second week of March. At this stage it is unclear if Alec Bradley's Black Market Punk will be available in South Africa.